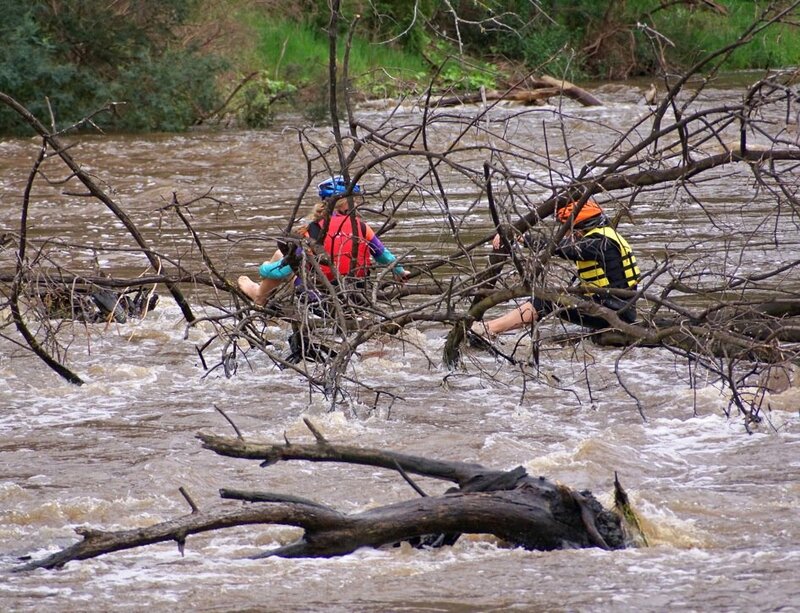 Two kayakers trapped in floodwater in the Yarra River in Warrandyte have been rescued. 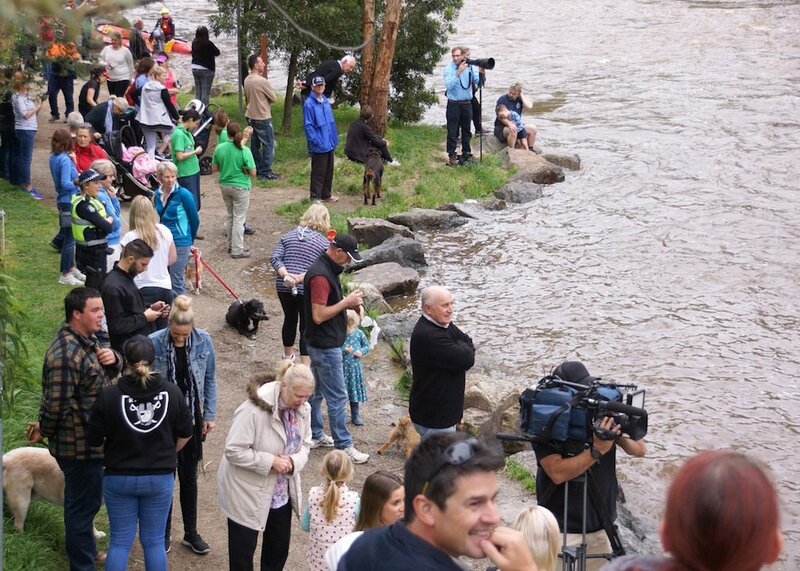 With fast flowing water in a dangerous section of the Yarra, the couple found themselves in trouble about 11am and were found clinging to a tree branch in the middle of the river. A cast of thousands were on hand to witness the event, including several news agencies and TV networks. The rescue operation was led by Victoria Police, with assistance from the Country Fire Authority, Melbourne Fire Brigade and Victoria SES. More info to come in the October edition of the Warrandyte Diary on Monday.